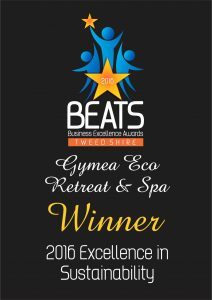 Gymea Eco Retreat & Spa are honoured to have recently received further recognition and reward being awarded 2016 BEATS (Business Excellence Award Tweed Shire) Award for Excellence in Sustainability. 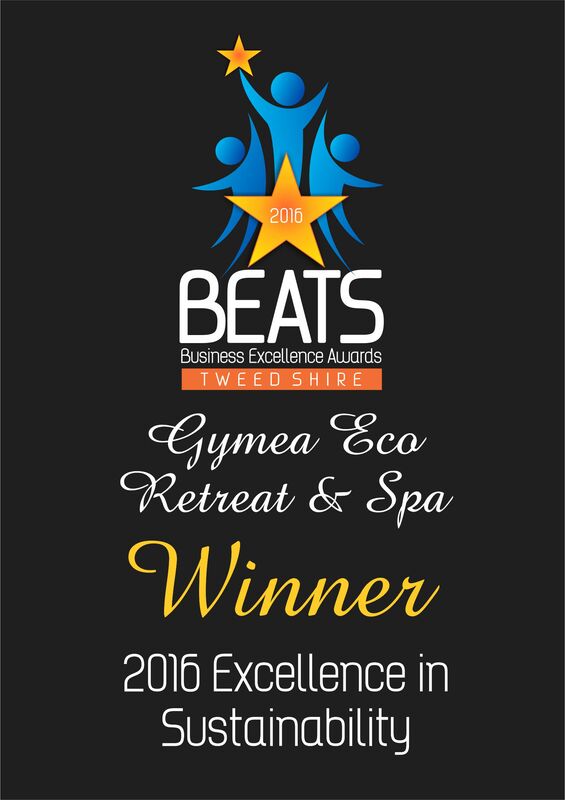 When asked, Stephen Armytage (MD & Co-Founder, Gymea Eco Retreat & Spa) said, “We are incredibly proud to have been independently judged as the leaders in the category of EXCELLENCE IN SUSTAINABILTY. “I find that it’s all too easy to lose perspective and get caught up in the day to day rather than thinking strategically about where our business is, how much we’ve achieved and where we want to get to – and the BEATS process culminating with us winning this BEATs award really allow us to do that.